For the last four months, commercial vehicle (CV) sales have seen a persistent fall but industry officials argue that the numbers are not comparable since the previous year’s base was high. Despite all the hardships during the last two quarters — slowing economic activity, high interest rates, lag effect of implementation of revised axle load norms, slowing industrial output and declining IIP growth — the industry is hopeful that it will see a robust growth soon. 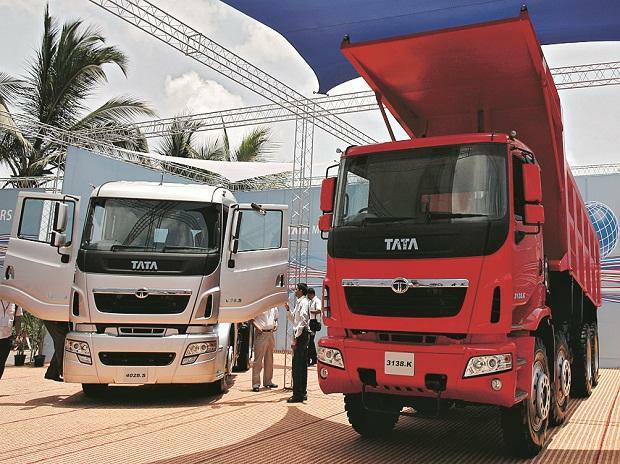 For instance, it is hoping for a 15 per cent growth in the truck segment in fiscal year ending March. Tata Motors’ M&HCV volumes declined sharply by 18 per cent year-on year (Y-o-Y) in February, while Ashok Leyland sales in the same segment contracted 4 per cent. Eicher Motors and M&M’s M&HCV sales also fell 7.8 per cent and 17 per cent, respectively, in the same month. Girish Wagh, president, commercial vehicles business unit, Tata Motors, said while M&HCV sales declined, the tipper segment, on the other hand, continued to witness a strong growth of 22 per cent on the back of road construction, irrigation and affordable housing projects. Satyakam Arya, managing director (MD) & chief executive officer (CEO), Daimler India Commercial Vehicles, said he sees certain repercussions of the liquidity crunch, and the revised axle load regulations that have led to an increase in available transport capacity. The company also sees some customers postponing buying decisions ahead of the elections as they await more clarity whether policy changes may influence their business models. He said the momentum from infrastructure projects is very much there, which is resulting in strong demand for construction trucks. The first half of 2019 is expected to be slow while the second half should see a push once pre-buying for BS-VI kicks in. Anuj Kathuria, president-global trucks, Ashok Leyland, the country’s second largest CV maker, said the current numbers are not comparable. The first half of last year’s numbers was only 50 per cent of the second half. During the first half, buying was minimal due to BS-IV transition and GST-related challenges. Unlike last year, this year’s growth will be spread evenly. He is optimistic that total industry volume would be 3.70 lakh units in 2018-19 against 3.25 lakh units during the same period last year. “Our belief in medium and long-term growth of the CV industry continues to be strong,” added Arya.